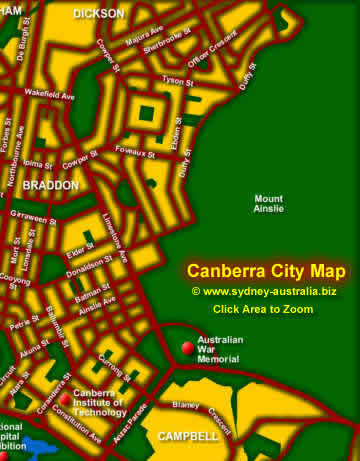 The City of Canberra has a collection of the most important institutions in the country, including the National Art Gallery, the Australian War Memorial and Museum, the Capitol and the High Court. 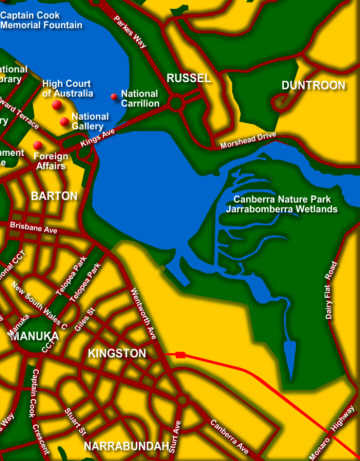 But a lot of attention has been paid to the open public spaces as well, there are even nature reserves with kangaroos. 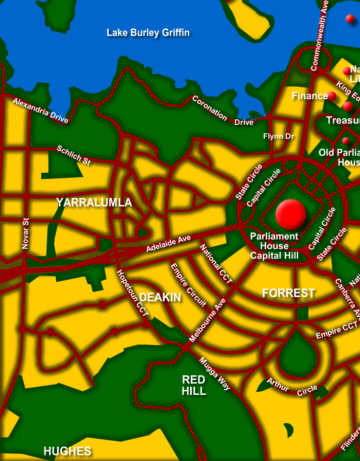 Next Picture: ACT Map - ACT Map. 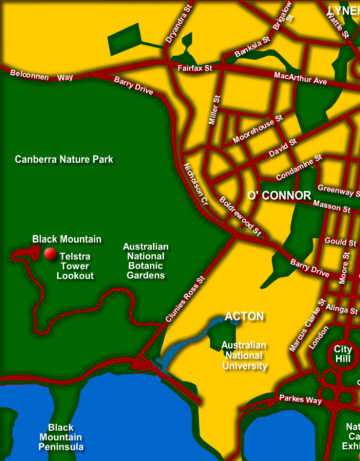 ACT accommodation includes hotels, motels, luxury resorts, caravan parks, camping, bed and breakfasts, backpackers and youth hostels.